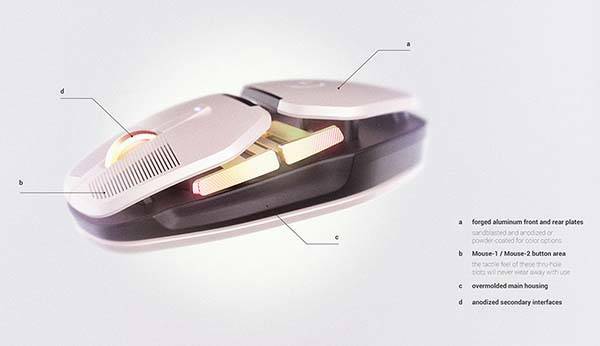 With a unique ergonomic design Logitech Salvo concept wireless gaming mouse not only focuses on professional gaming experience, but also brings a charming futuristic aesthetic style. Like the design? Let’s have a look. 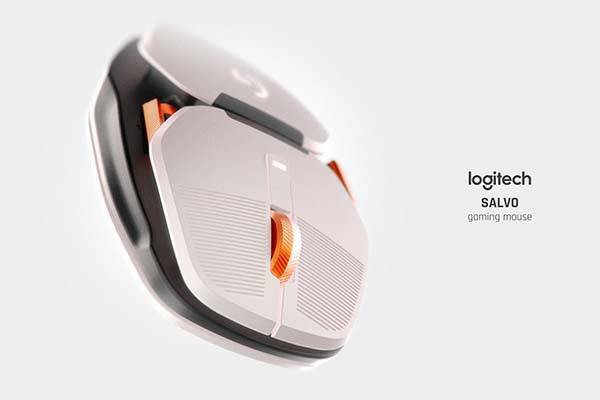 Robbie Lillquist, a Germany industrial designer came up with the concept mouse called Logitech Salvo. 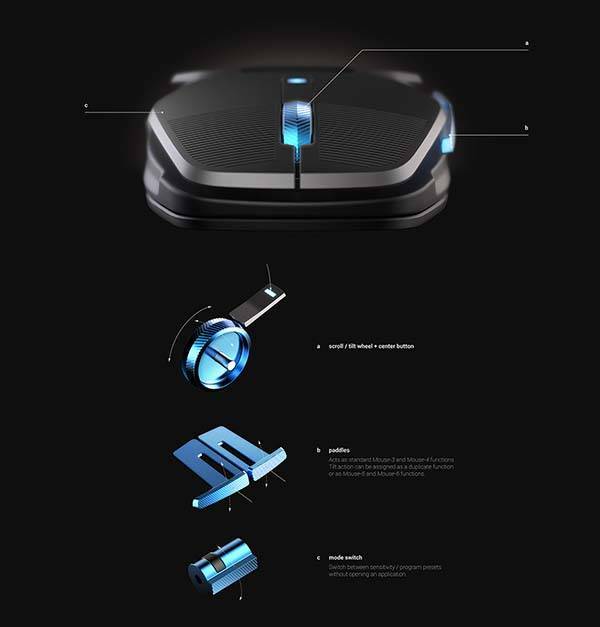 As we can see from the images, the top cover of the wireless gaming mouse features a unique two-piece design, and the front and rear plates are made from aluminum for durability and premium feel. Meanwhile, its bottom ring is removable so that you can add stainless steel weights based on your preference. 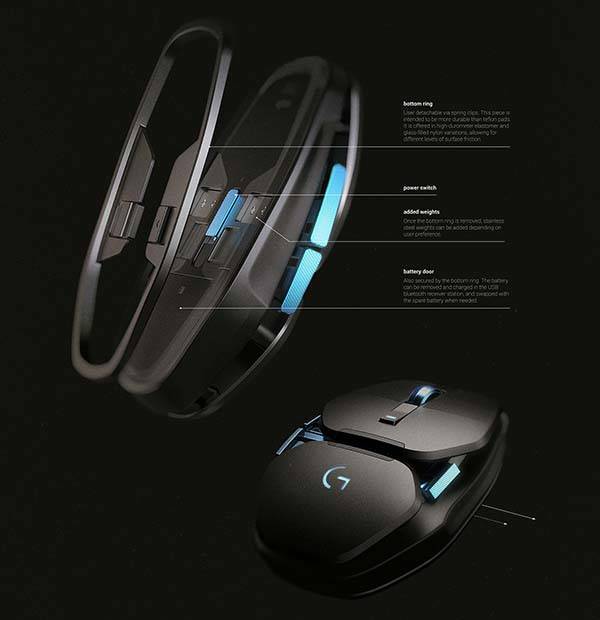 Furthermore, the gaming mouse comes equipped with 6 buttons. 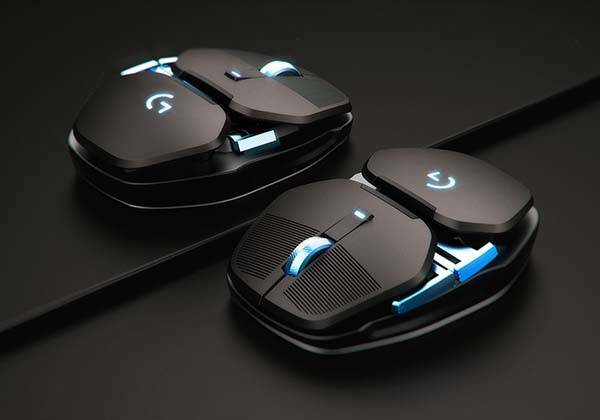 The two side buttons feature tilt action that can be assigned as a duplicate function or as Mouse-5 and Mouse-6 functions. Another side features a mode switch that allows you to switch between sensitivity/ program presets without needing to open its application. In addition, its rechargeable battery is also removable so you can quickly change a spare battery for longer gaming session when needed. After the break, check out the images about the concept.